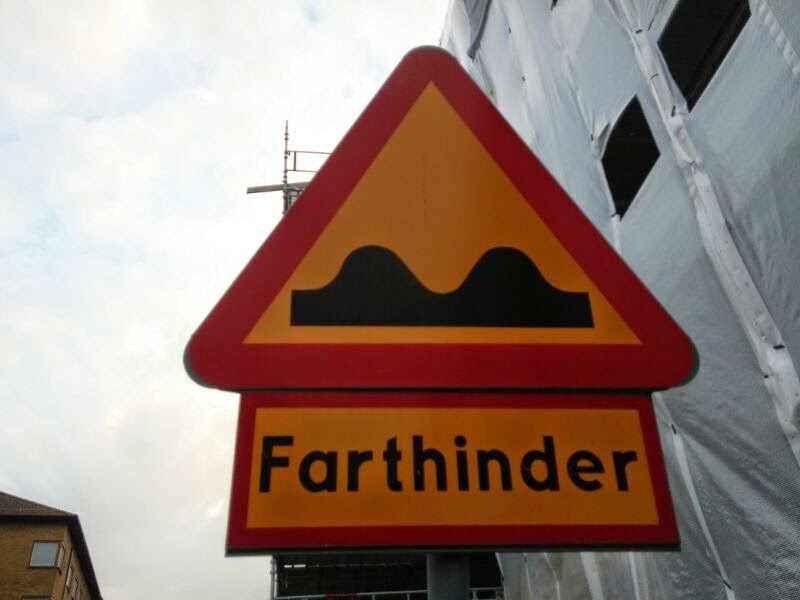 My first week was truly a fresh-off-the-boat experience with the Swedish language. Just about all the printed information was in Swedish. That means shop signs, newspapers, government forms, and, #sigh#, supermarket flyers. Apparently those are very important to me if I want to do well as a hemmafru ("housewife"). Not to mention if I want to really be part of the society, and not just a subculture, to know Swedish is essential. Most Swedes speak English very well, and they are very happy to speak English with you... So much so that my biggest fear was that I would easily carry on living here with English as my life jacket, as some expats/immigrants do. (To each of their own choice.) But I was determined to learn swimming in Swedish sea on my own. Personally I feel very important to live in a society where I can function normally without the constant language barrier. But boy oh boy, did this goal of speaking Swedish feels like a miracle. Did you know that Swedish has three extra letters: å, ä and ö. If you do the math, that is over 10% increase from English. Apparently that pushes my brain over the edge. I was drowning in a sea of strange words and letters. One time I went to a språkcafe (language corner for new comers), and I left half way feeling so mad with myself for not understanding anything. It sucked big time. So I worked hard and I worked smart, really hard and really smart, for three months. And now, I was very pleased to see a miracle budding. Earlier today I was carrying a pseudo Swedish conversation for a good five or ten minutes, where I understood maybe a handful of words. But those words are my precious air. It feels so terribly refreshing to be able to come up and tread the water somewhat. I am incredibly proud of this achievement knowing that three months ago how depressed I felt about the situation. Hey, you try listen to the alphabets 100 times and still not getting it. Having said all this, for those who are curious, I am going to share with you what I have done, and who knows, maybe you will find one or two things helpful for your own study. - Immersion. Yes, it sounds intense, but it is like jumping into a cold shower, it doesn't work to wet a finger at a time. I took the plunge in converting my environment setting from English to Swedish, from declining restaurant menu in English, to getting a Swedish keyboard, to changing the mobile phone language setting... Which was quite disastrous - for a good few days, I couldn't use my phone properly. :) The hardest part of this is to ignore the lazy voice in my head, the one that wants to read English and just gloss over Swedish. I know it will continue to be a struggle, but it is getting easier day by day, and it feels very rewarding to discover more and more Swedish words that I understand as I read more material. A bit like solving little Sudoku puzzles. - Stay focused and move quickly. I am very grateful to Matteus from my Toastmasters club for offering me this tip. The argument here is that if I drag out my study, my mind and my friends will get used to the fact that I only speak English, and I would therefore miss some important opportunities to establish a Swedish mindset. It was one tip that helped me tremendously. Before moving to Sweden, I planned some extensive travelling. But after receiving this tip, I decided to stay in Sweden and focus on language studying. - Listening and speaking over rules. Schools tend to focus a lot on grammar. I like grammar. Some rules help to make sense of the language structure, but quite often we become grammar book and don't know how to verbally communicate in every day conversations. To tackle this, I made it a priority to spend time listening and speaking before taking more school lessons. I would highly recommend these four tools: 8sidor.se, LingQ.com, Swedish Core 2000 Anki and Fabulo. - Think and speak like the Swedes do. Nigel from the vill du prata svenska? ("Do you want to speak Swedish?") Meetup.com language group gave me this valuable tip. What it means is that instead of translating English expressions and sentences word-for-word, I must learn Swedish expressions, otherwise I would just end up with some Swenglish that nobody can understand! I find this quite challenging and fun. For example, I was told there is no such a thing as "sweet tooth" in Swedish, instead it is gottegris ("candy pig"). On a related note, Q is min gulle gris ("my cute pig"), ha! 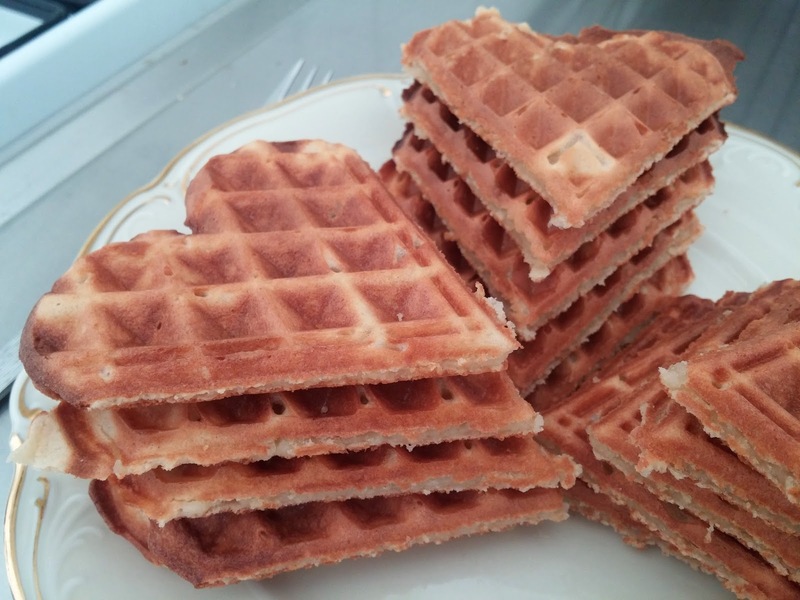 Swedish waffles also help motivate language study. Shu, I love this part of your post: "Stay focused and move quickly. I am very grateful to Matteus from my Toastmasters club for offering me this tip. The argument here is that if I drag out my study, my mind and my friends will get used to the fact that I only speak English, and I would therefore miss some important opportunities to establish a Swedish mindset. It was one tip that helped me tremendously. Before moving to Sweden, I planned some extensive travelling. But after receiving this tip, I decided to stay in Sweden and focus on language studying." That is so true! And especially the notion of oicking up the expressions. It sounds like you are doing very well! A champion in the making! Great going Shu. And, btw, those waffles smell oh so good!